The moment at which the umbilical cord is cut is a special moment. Usually the umbilical cord is cut straight away, but more and more research shows that it is important to wait a while. Research from the University of Sydney shows that it can even save lives to wait a minute to cut the umbilical cord. This is healthier for all babies, because it ensures better blood circulation, less stress level and more red blood cells, but for premature babies it can be crucial. The study looked at 3000 data of children born for 37 weeks. 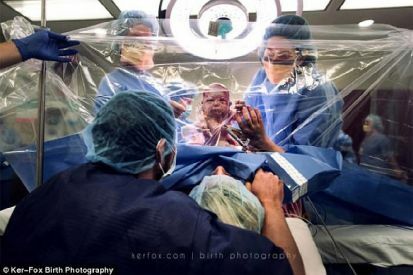 In some children the umbilical cord was cut straight after birth, with some people waiting a full minute with the cutting. What was the result? Among the preterm infants who waited about one minute before the umbilical cord was cut, fatalities were one third lower than babies cut immediately. According to David Osborn, professor at the University of Sydney, this is fantastic news. He expects that at least 100 more can be saved from every 1000 extremely premature infants (more than 10 weeks too early) by postponing the umbilical cord cut for one minute. A very small operation, with very big consequences. When did you cut the umbilical cord?